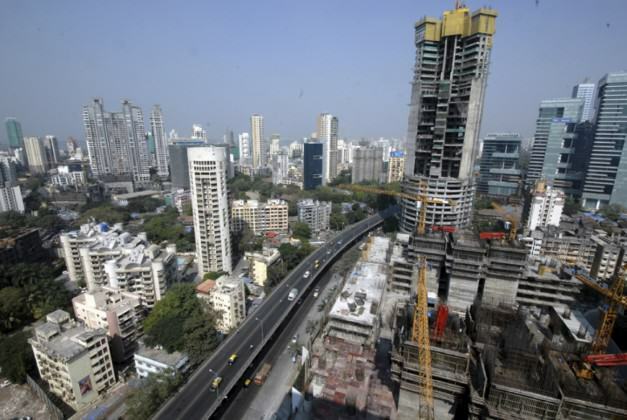 Mumbai’s development plan is revised every twenty years. The revision process of the current plan is underway for preparation of a new plan for 2014-2034, to be launched some time later this year. Amongst many issues that active citizens and environmental groups have flagged is that of ecology and environment. Sadly, ecology and environmental causes are considered by authorities as huge burdens on the “development” agenda, particularly so in “land starved” cities, as is Mumbai. This is true for many city governments around the world. Such a mindset has to be challenged. Sustainable Ecology & Environment has to be the central aspect of city development plans and prepared with peoples’ participation. For this to be successful, ecology rights movements have to be popularized worldwide. Interestingly, participation in the preparation of the new development plan for Mumbai has been bigger than anytime before. Under pressure from people’s movements and active citizenry, the Municipal Corporation has launched public consultations before finalizing the new plan. Individuals, organisations and institutions engaged in wide ranging subjects are today actively contributing. As for the environmental cause, several groups have come together to jointly submit their views and demands during public hearings to the corporation’s officials. This is probably the first time when such collective and concerted effort has been witnessed. City building efforts have led to unprecedented abuse and destruction of natural assets and ecosystems. Also their relationship with built environment has been severed in most instances. As a matter of fact, development plans and programs have dealt with natural conditions with hostility. Their exclusion from city maps or their inadequate documentation, as in the case of Mumbai, is an example of such apathy and indifference. Instead, our challenge is their integration, towards building a sustainable urban ecology. City development anarchy in Mumbai. Today, cities are seen as opportunities to build more, achieving higher and even higher construction turnover for mere financial gains at the cost of social and environmental interests. This build-more syndrome and the development anarchy across cities has led to the decimation of natural environmental conditions and turned these areas into city’s backyards: both physically and metaphorically. In Mumbai’s case, the vast and diverse extent of the city’s natural assets covering an area of over 180 square kilometers (area for construction & other development works being 260 sq.kms), has been damaged and in many instances totally destroyed by indiscriminate construction. These eco-sensitive areas have been considered as dumping grounds for waste disposal and illegal land filling. Such acts of arrogant violence against natural environment are increasingly witnessed under growing urbanization and city expansion programs. Due to rapid expansion plans and programs in cities, it has become necessary to define boundaries and areas of various natural aspects. This proposal is not meant for a permanent division or separation of the natural areas from the city building process, but to ensure their protection in the intermediate phases towards the achievement of an informed integrated urban ecology. Also determining and demarcating buffer areas for every natural element has become an absolute necessity during this period. Such buffer areas will help in the establishment of open space between various built developments and core ecological areas. While undertaking both these exercises we will experience critical differences with our governments and bitter conflicts with private builders and developers who forever want to extend their property boundaries onto these areas for further construction and real estate benefit. 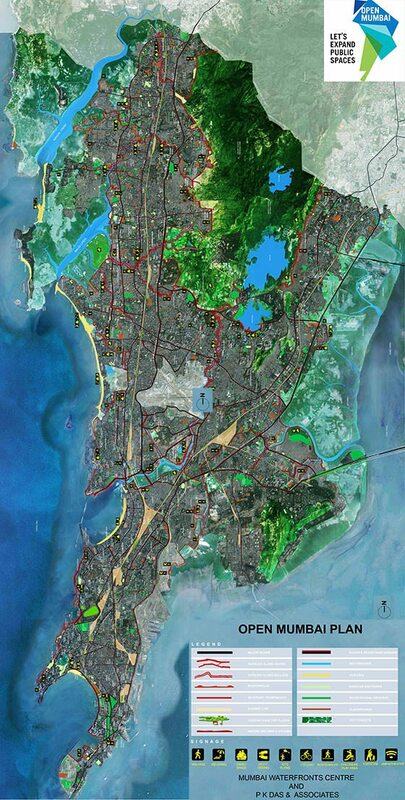 In Mumbai, based on ‘Open Mumbai’ plans, we have jointly proposed to the authorities to designate the buffer areas as reserved public open spaces for walking and cycling without any form of construction and for regeneration of natural ecosystems. Further, we have proposed to develop a contiguous network of these buffer areas connected with other open spaces of the city parks, gardens, playground etc., and various public places: market areas, community buildings, transportation hubs, etc. We believe that free public access to spaces in this network will facilitate effective vigilance by community groups against abuse and misuse of the natural assets. Such collective engagement in open spaces will facilitate social networking and the democratization of public spaces and vital ecological resources. Mapping is not merely a physical exercise but has to be understood as a socio-political action engaging people across neighborhoods and the city. Through the mapping process individuals would not only be able to contribute but will learn to work together with others in building public knowledge about ecology and the importance of conservation of fragile environmental conditions. People’s survey data, generated through collective engagements will challenge government’s skewed and insufficient information manufactured to suit certain vested interests that are contrary to larger sustainable environmental cause. Collective engagement along with wide public dialogue is a necessary democratic process for the achievement of such an objective. Organizing public meetings and campaigns for awareness towards building public opinion can achieve this process. Significantly, public engagement would be possible only when they realize the necessity of the importance of environmental issues in their daily life experience. Citizen’s action will inevitably include legal interventions and public interest litigations (PIL) in the courts. Many significant orders in favor of environmental cause have been achieved through this effort. 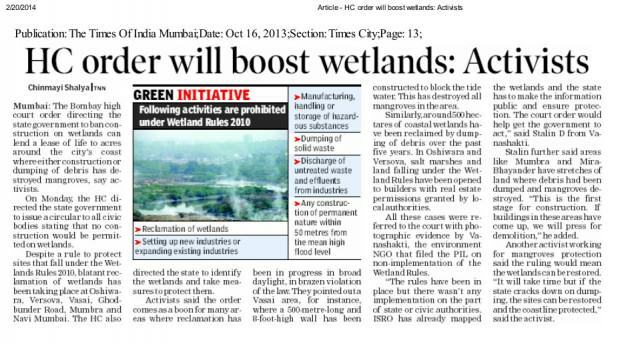 In Mumbai’s case, due to PILs, the Courts have ordered that mangrove areas be reserved as protected forests. Similar orders have prohibited land filling in wetlands. Strangely, the State Government of Maharashtra that includes the city of Mumbai has been pursuing an idea of building low-cost housing on saltpan lands and other wetlands for short-term political gains. These court orders are big victories in the battle towards conservation and protection of natural assets. But, filing PILs are neither simple nor easy for citizen’s movements. They involve massive expenditure, time and sustained effort to cope with slow legal procedures. Moreover the opponents are powerful people with enormous resources at their disposal to fight these legal challenges. For long-term gain, it is important to achieve necessary legislative changes for the protection, conservation and enrichment of various natural conditions. Governments deciding unilaterally or taking decisions in collaboration with highly influential private developers, land sharks and business houses, as is the practice today, leads to the downsizing of natural areas and depletion of these vital public assets. In spite of protracted struggles for environmental cause, governments have undermined such critical decisions and thereby allowed the continuing destruction of natural areas. In Mumbai for example, we witness large-scale illegal land filling, dumping of garbage and rubble generated from building repairs and construction sites onto areas of mangroves, wetlands, rivers and creeks. Even the city government, has over the years, used wetlands and mangrove areas as solid waste dumping sites. Hence, concerted democratic movements and protracted struggles will have to continue in order to influence decisions in favour of environmental protection and their conservation. Amongst many steps that have to be undertaken and battles waged, the formalization of boundaries and areas of the natural and eco-sensitive areas in the development plans of cities is of utmost importance. Only then we would achieve legal teeth for pursuing our ecology rights battles for the achievement of sustainable ecology and environmental justice. Preparation of development plans of cities with such ideas and objectives creates new challenges. Integration of the natural areas with other social infrastructure and human development demands are complex, when basic human rights related to housing, amenities, access to healthcare and education are pressing demands. 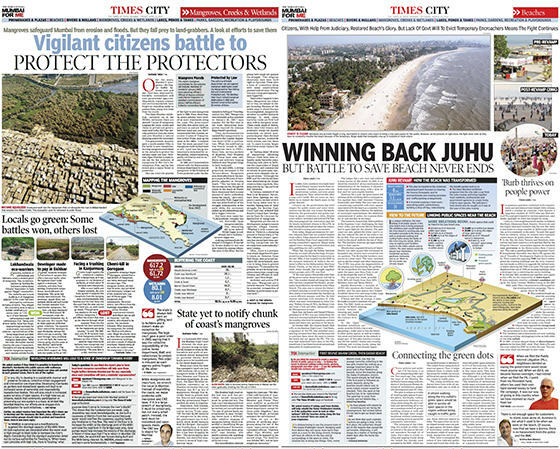 In spite of public suggestions backed by surveys and elaborate data — as also carried out by Mumbai waterfronts Center and this author — the authorities in Mumbai have not committed as yet to define the boundaries and areas in the forthcoming development plan of the rich and varied natural elements that this city uniquely possesses. With continuing pressure from movements and sustained public action, hopefully the authorities will ultimately concede to the demand for surveying all the natural areas and carry-out their integration in the forthcoming development plan for Mumbai. Continuing participation and active citizen’s movements have been able to influence government decisions in many other planning issues and related areas of concern. As demanded, the idea of participatory neighbourhood planning forming the basis of city planning, is one such example which the authorities have adopted. In the new draft plan, the city has been divided into 151 planning units. Local area or neighbourhood plans facilitates maximum participation as people relate best to their neighbourhood. In any case, Mumbai has evolved by itself and every area has typical challenges. Each neighbourhood has its own unique set of strengths, weaknesses and opportunities, best understood by the people who live and have an interest in it. Also every neighbourhood has distinct geographic and environmental conditions. Allowing citizens to utilize this awareness of their nighbourhood will result in a vision best suited to them and to the city. ‘Neighbourhood Planning’ keeping larger, city issues in mind is the way ahead. It will empower local residents and make them responsible for their area development. This will truly be our Vision, our desired future for our surroundings, our city and the environment. In India, as in many other countries, destruction of natural areas continues to exceed efforts towards arresting them. Simultaneously, pretentious and counter-productive plans are mooted on many fronts. For example, to reduce erosion of the coastline including beaches, governments are dumping concrete tetra pods and building sea walls. Similarly, enormous concrete walls are being built on both sides of rivers and other watercourses to contain their spread. These big contract turnover projects permanently severe the water courses from the natural ecosystems. Integration of the natural assets with other urban development goals is not easy; particularly when the city is being systematically fragmented into disparate and conflicting parts, best reflected in the physical form of cities. Land and resources, including natural areas are divided and barricaded and considered individually and separately for various construction and development works. How then can the integration of natural and built environments happen for the achievement of a sustainable urban ecology under the present nature of city development? This integration is indeed one of our biggest challenges in our thrust towards urbanization and city building. For this purpose people’s movements for environmental cause would necessarily have to join forces with other democratic rights movements for the achievement of integrated and inclusive cities world over. This has to be a simultaneous effort in all cities of the world. 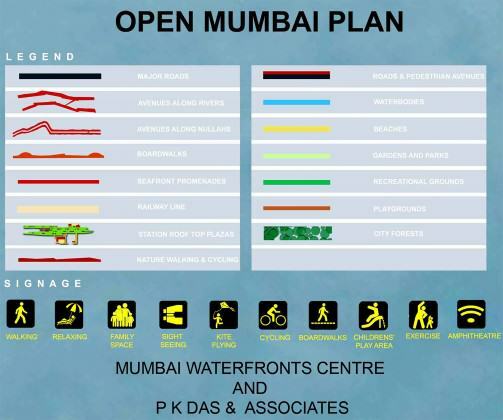 ‘Open Mumbai’ Plan suggests networking the various natural assets, enabling over 500 kms. of contiguous public open spaces for walking and cycling. 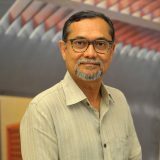 I’m a researcher at Centre for Urban Science and Engineering, IIT Bombay. I’m trying to assess the impact of metro corridors on the open spaces of Mumbai. I’m interested in sharing the open maps that I have and study the maps that you have prepared. Who would be the right person at your forum to talk to? A very good idea that should be implemented worldwide. Thank you. Excellent thought to be implemented. Thank you. We seriously think about green city so Mumbai can be better place to leave. After having so many rules and guideline from court no one is thinking about society.